In recent years hackers and other cybercriminals invent new means to steal data or harm to companies and individuals. And sometimes to protect standard techniques are no longer enough, but to secure cyberspace has solved a major IBM company, applying artificial intelligence. "IBM Security Connect is the first cloud platform security based on open technologies, controlled AI." Platform participants will be able to use AI for their own purposes. They will even access a supercomputer IBM Watson. Artificial intelligence platform includes neural networks, and deep machine learning. "Because the platform is open, participants can easily create unique solutions and small services for implementation in their projects. In this case, the safety of even the very small services will keep track of a huge system." 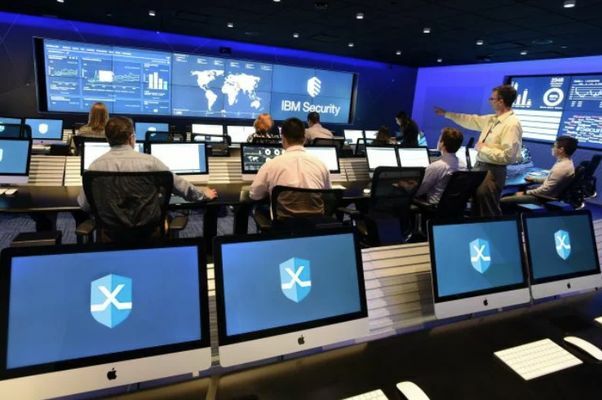 According to the project Manager for the IBM Security Connect Jason Corbin, already at the start of the program, joined by 16 companies that have committed to open data streams or applications development. "IBM Security Connect is built in such a way that if the application is integrated with the platform, it can integrate with all other applications available on it." One of the key technologies that underlies the platform, is a project STIX-Shifter (Structured Threat Information eXpression) is a Protocol used for secure exchange of information about threats. It provides consistent data transfer across all products IBM Security Connect for deep Analytics. Combined with huge amounts of data that provide one common API, the program may use information from any source. Well, with regard to integration into the system of artificial intellect. According to Mr. Corbin, it does not matter what the system is designed by a neural network. They will all be compatible with each other. "One of the problems with AI is that organizations can be isolated as part of its platform. We want to make AI more open. We take your AI, no matter where it was built how it was built and where it works, and we allow it to contact other AI, including Watson. Therefore, the functionality of each individual AI increases several times."